Sibiloi National Park lies on the northeastern shore of Lake Turkana in northern Kenya. 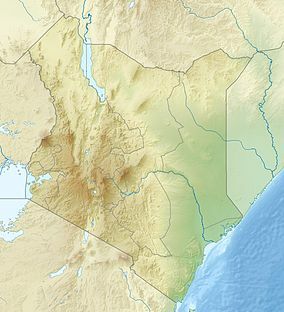 Established in 1973 by the government of Kenya for the protection of wildlife and palaeontological sites there, it covers 1570 km² and is internationally known for its fossils. It was listed as a UNESCO World Heritage Site in 1997 as a part of Lake Turkana National Parks. The park was named for Mount Sibiloi in view at Alia Bay on the south perimeter. There also is located the park headquarters of the Kenya Wildlife Service, the administering authority; camping and short-stay facilities for visitors; and the Koobi Fora Museum. Koobi Fora Spit with the facilities of the Koobi Fora research Center are to the north, but are accessible through guided tours. The most famous remains from the park are the Australopithecus and early homo fossils. These have been moved to Nairobi, but fossil non-humanoids are on display in the museum. Wikimedia Commons has media related to Sibiloi National Park. This page was last edited on 5 March 2019, at 00:21 (UTC).